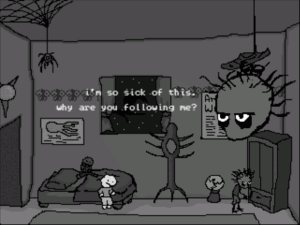 With distinctive dark art work and challenging puzzles this platformer will either have you confused and frustrated or engrossed in its mysterious world. “The game is absolutely stunning in the graphics department and the lonely, dark music only adds to the creepy atmosphere. Unfortunately, the game falls apart in the difficulty setting–monsters continuously spawn! You battle ten of them and another ten spawn right on spot! Also, when you are being followed by them, you tend to loose health when you go off screen. This game incorporates a scrolling technique where the player stops and the camera scrolls to the next screen and then the player resumes playing. Well, during this pause where the player can’t do anything, the monsters tend to get you. Remember to read the documentation! Going into this game blind isn’t fun, so prepare to die often! – Uin review on YYG by Joshua Green. Zack Banack and Sean Buller have released a follow up to TimeStill (GMB review). 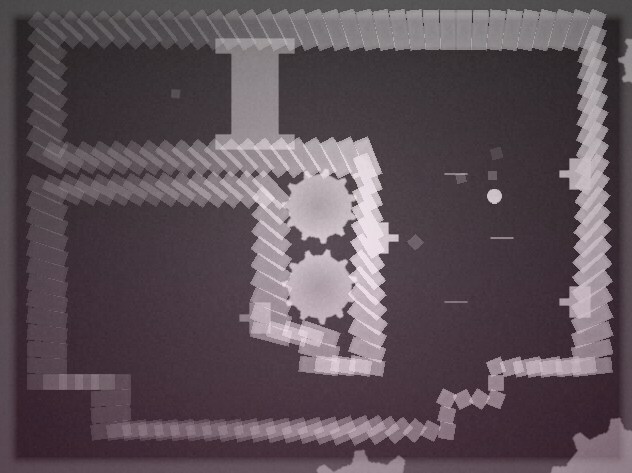 TimeStill II is a collect and avoid platformer with the added ability to freeze time by use of the ‘z’ key. Freezing time enables you to pass obstacles when it might not otherwise be possible – it is worth noting that bullets are harmless when frozen and make great platforms to jump from. Strangely calming music sooths you as you jump through the one-coloured levels attempting to stay away from obstacles including water, compressors, bullets and lasers. There is an added achievement system and the levels are different but there are few game play differences from the original title. Thanks for the review. Just some clarification, Sean Buller didn’t sctually help make the game, but was a play tester. Oh, perhaps it make its way on to the front page and was then moved back, I hadn’t seen it in the featured section before. Uin is not really a recent feature, i featured it some months ago when i was a mod.